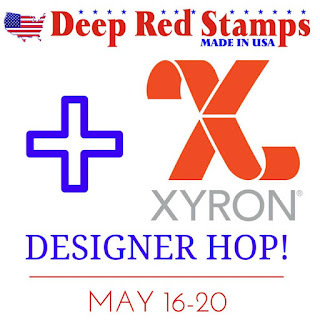 XYRON & DEEP RED STAMPS HOP! with Prismacolor pencils, I carefully cut her out from the paper. Station Lite and the 3" Permanent Adhesive. placed back into the Creative Station Lite. 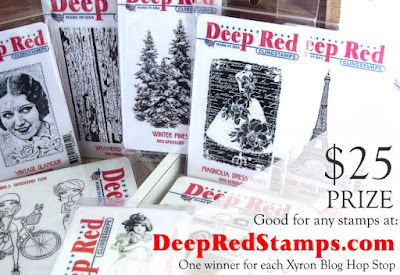 You could WIN a $25 Gift Certificate to Deep Red Stamps! the WINNER will be announced next Friday, May 27th. You could also WIN by commenting on the other blog posts! Cute stamp! I love the layering and paper choices on this delightful card! Your card is so cute! 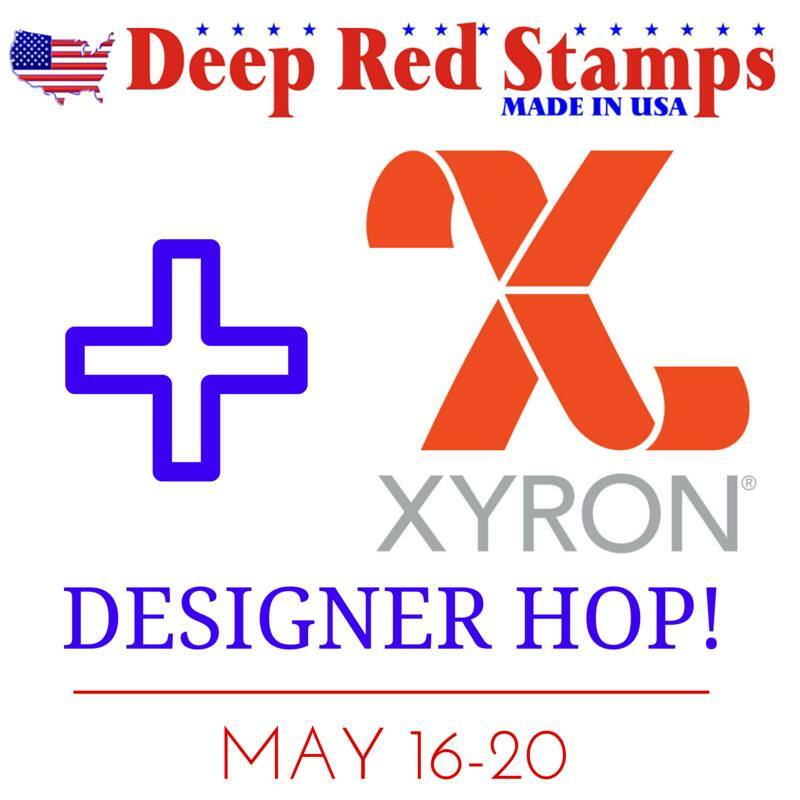 I love the way you used the Xyron - the hop has inspired me - I need a Xyron! I have also fallen in love with Deep Red Stamps! Loving what I'm seeing! Have a great day! Shellye - you did such a cute and fabulous job with this card!! The little girl is adorable and I love the papers you layered around her to bring her cuteness out!! What a whiz you are at making cute things!! Such a cute card and the Creative Station with the 3" sticker maker and 5" sticker maker is fabulous. Love that you are showing it in use. So cool. Cute card! This would be great for a teacher appreciation card. Thanks for the chance to win! What a cutie patootie card! Thanks for the giveaway! Your design for the card is so cute! 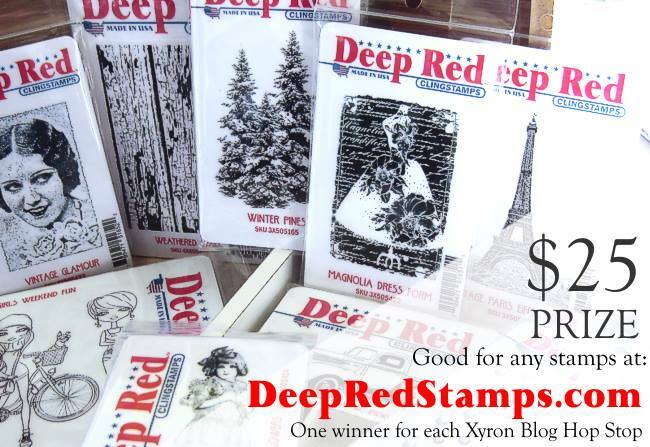 Deep Red Stamps has some great designs for stamps. The stamps are all so fun! Love them! !